A second brand new photo today! After D.A.R.K. 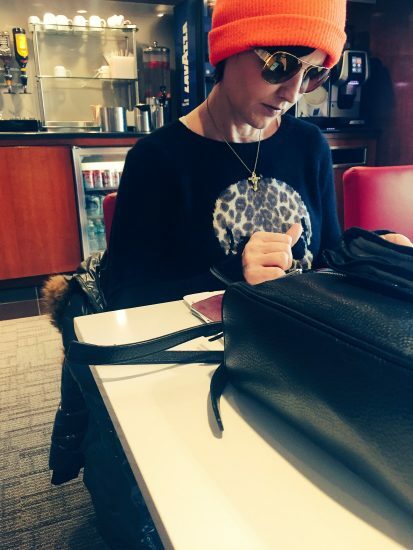 on Instagram earlier today, Dolores just published on Twitter a second photo. How cool!! 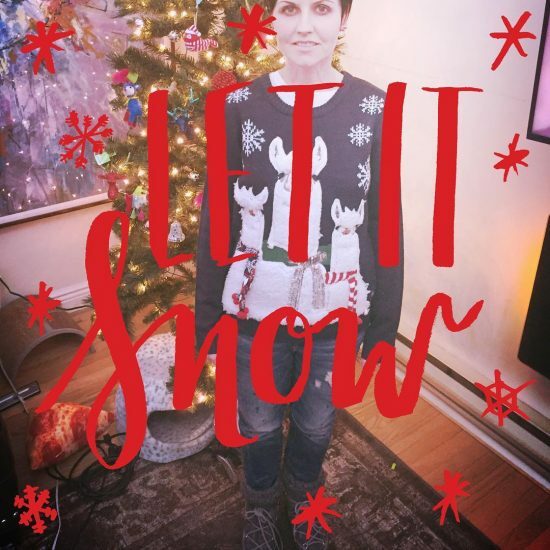 December 26, 2017 | Comments Off on “Let it snow” | by Axl | D.A.R.K. Happy Birthday to Noel Hogan who turns 46 today! And a Happy Christmas to you all. 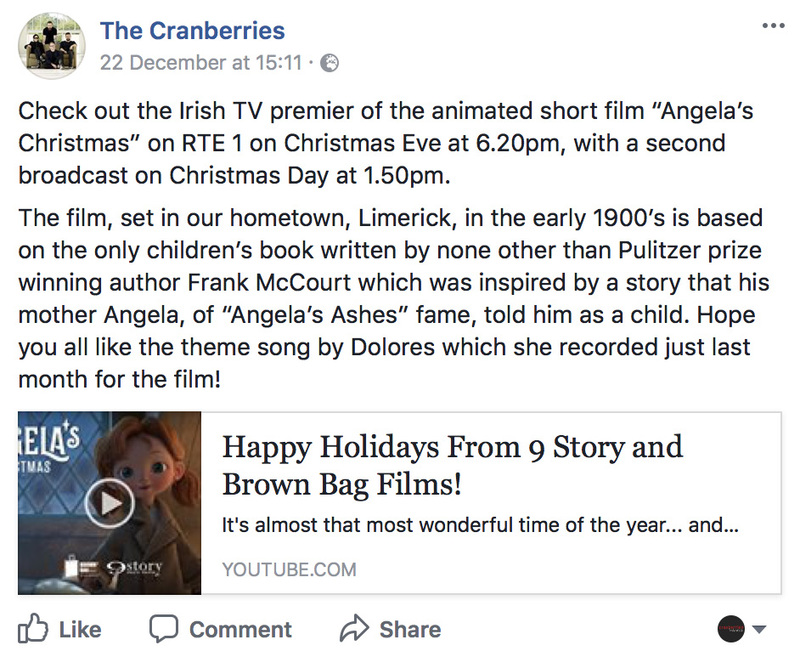 H-1 before the Irish TV premiere of the animated short film “Angela’s Christmas” featuring a brand new song recorded last month by Dolores O’Riordan as revealed on The Cranberries Twitter, Facebook and Instagram 2 days ago. For those outside of Ireland, you can watch RTE One on FirstOneTV by clicking here, the link might work worldwide (no garantee!!). Let’s hope many of you will record and share for all those who can’t access/watch or just in case there’s no replay nor OST available afterwards. See you after the broadcast later today/tonight for a brief recap! The film aired 10 minutes earlier than scheduled. This is the story of a little girl named Angela who, on Xmas Eve 1914, “steals” Baby Jesus from the Nativity Scene in a cold church in Limerick because she thought he was cold and wanted to warm him home… and eventually bring him back. At home Angela sings a few lines of the song simply called “Angela’s Song”. 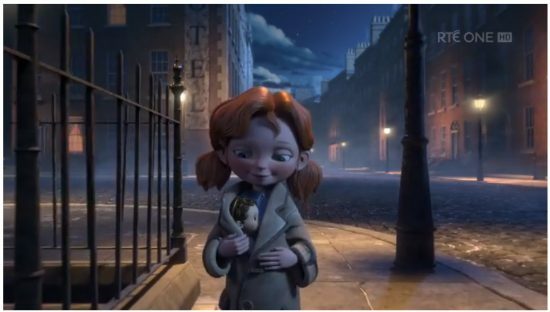 Obviously this is Angela’s voice (Lucy O’Connell) singing these few lines, not Dolores’. You can hear Dolores singing the (full?) song during the end credits. It’s approximately 1 minute long. 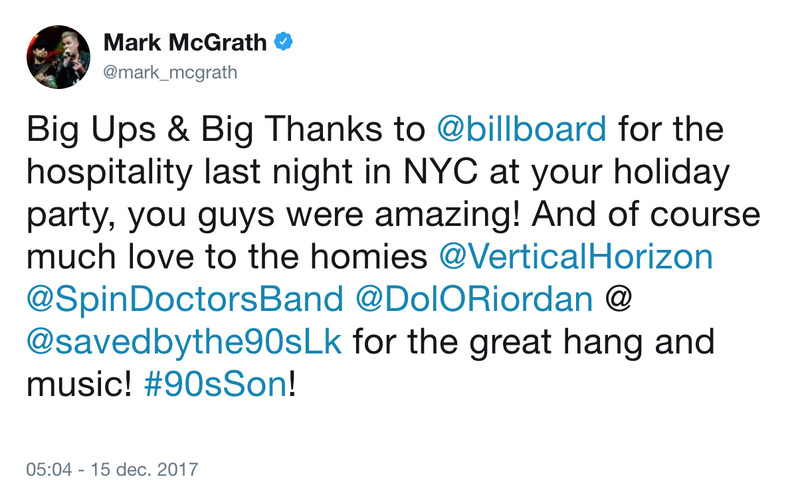 It’s interesting to notice that Dolores only performed the song and did not write it as it’s written and produced by Darren Hendley. irishsoul just shared it on Vimeo, many thanks to her. The Cranberries among other artists filling the soundtrack of the new TV series “Derry Girls” on Channel 4 (UK) starting Thursday, January 4th. December 18, 2017 | 12 Comments | by Axl | D.A.R.K. An unreleased track by D.A.R.K. 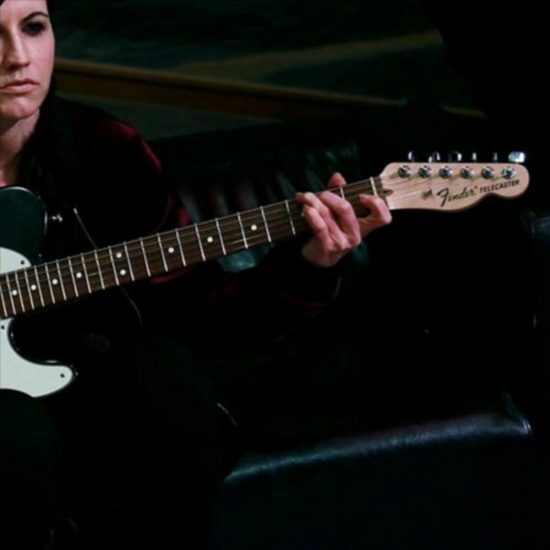 has been shared on Soundcloud 25 days ago under the username JETLAG.NYC along with a brand new photo of Dolores holding a guitar. Thanks to the Facebook page of Dolores O’Riordan Spain for finding this gem as it seems that D.A.R.K. posted it without saying. 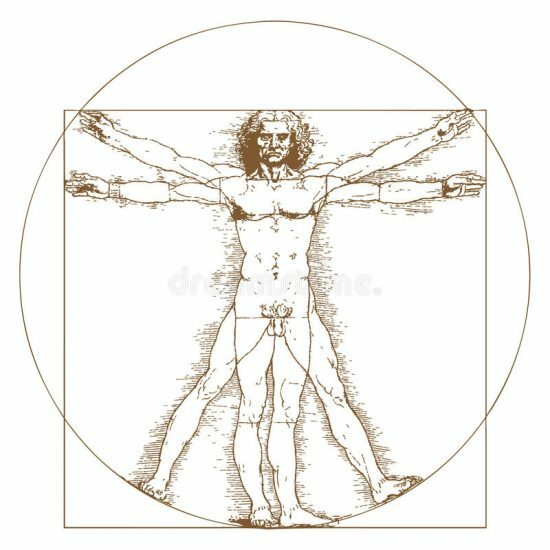 Is this an old demo song not selected to appear on debut album “Science Agrees” or is it a brand new one from a recent work. No one has the answer for now but the second option might be very possible. The track has just been removed!! 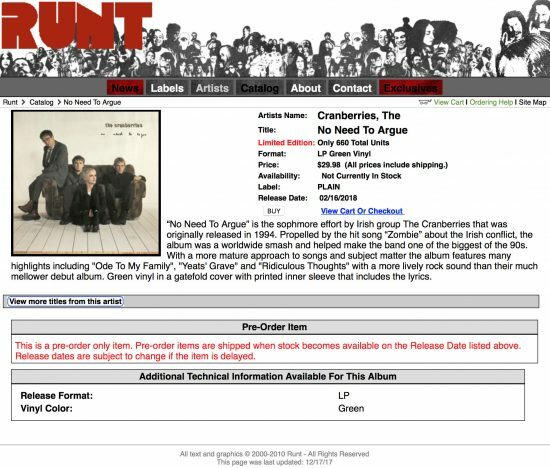 In the series guess the next color, the album “No Need To Argue” will be reissued on GREEN VINYL on 16 February 2018 still by the same label, Plain Recordings. 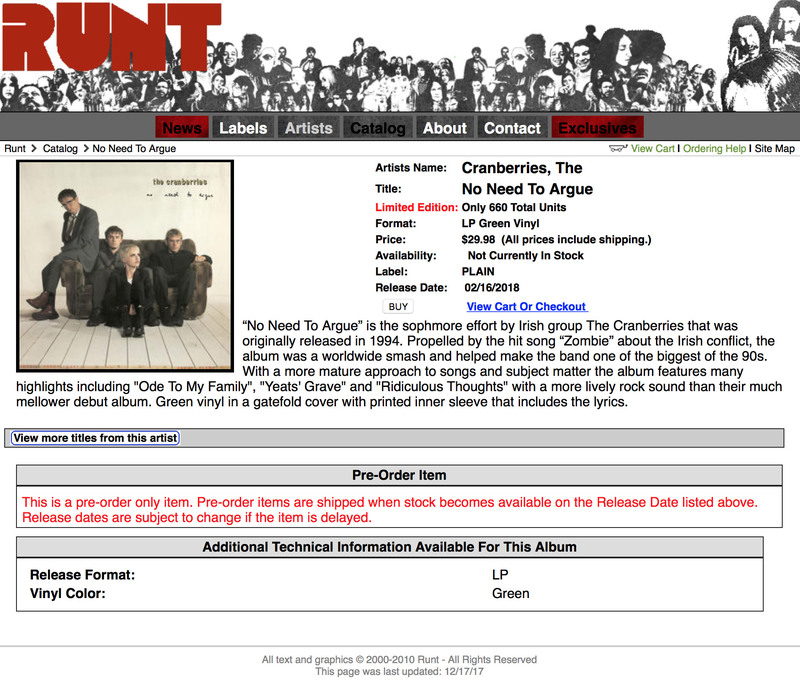 As you all remember, the label already reissued the album 4 times (180 grams, cranberry, plum and turquoise) these last 2 years. You can preorder right now by clicking this link, price is $29.98 including shipping for USA. Worldwide shipping available for a few extra dollars. 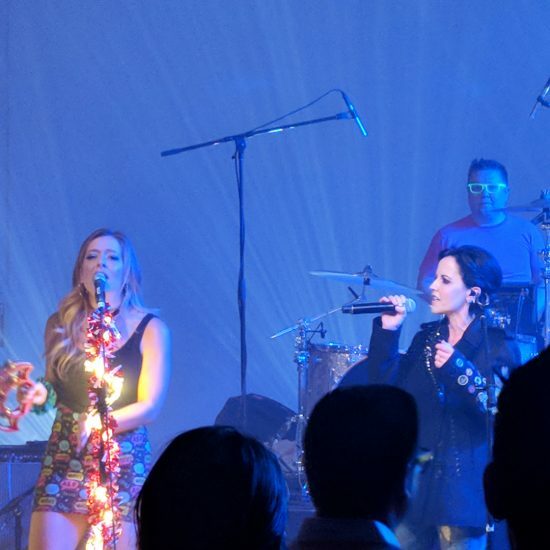 As revealed earlier today Dolores performed at “Billboard Holiday Party” in New York City yesterday. 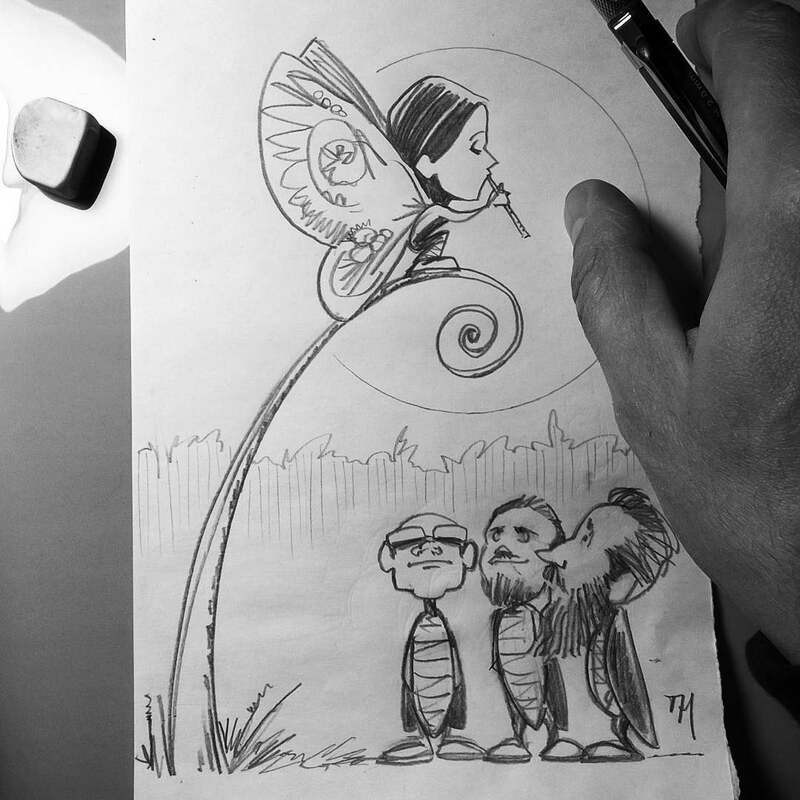 Singer Emily Afton just shared on Instagram 4 photos and 2 small videos of the evening in one single post (swipe to see all pics and vids). 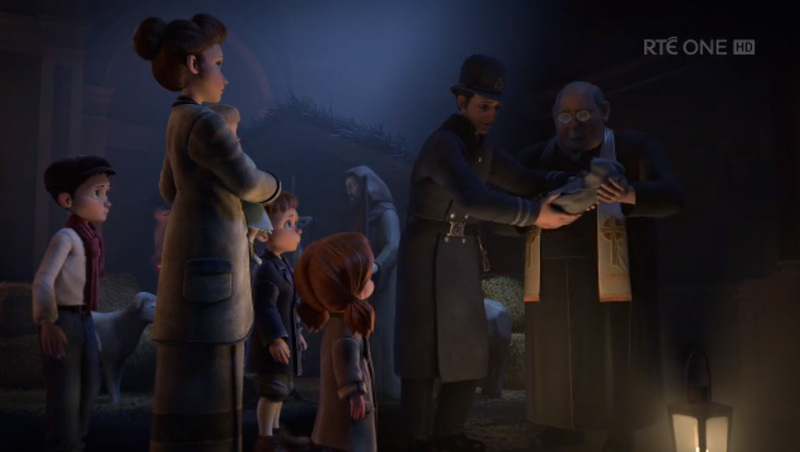 2 of them concerning Dolores. “Linger” – a bit out of key as you can see on video below – and “Zombie” were performed for sure as well as a possible 3rd song but we don’t know which one yet. According to Mark McGrath’s tweet it seems like Dolores O’ Riordan performed/appeared at some Billboard Xmas party last night in New York City. Hope we’ll have more information soon. Eminem released today a new album called “Revival” which includes a track called “In Your Head”. Yes it is about “Zombie”. Not really a cover but a (rap) song that samples Zombie’s chorus and guitar. 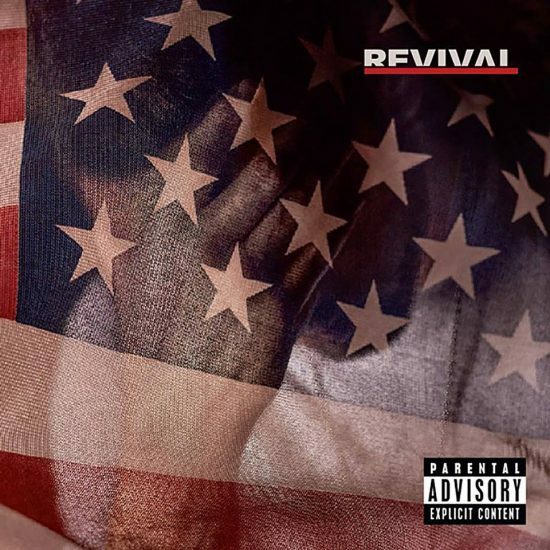 Usually we never talk about cover songs/bands but as Eminem is quite famous and as The Cranberries even shared the news on their socials, this one is an exception. 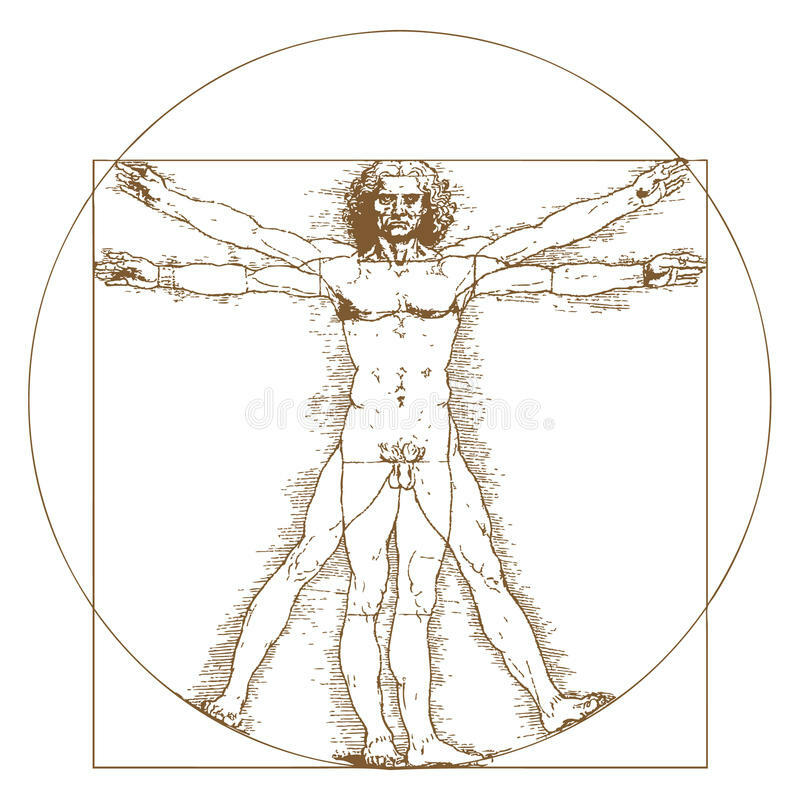 Well… to be honest we should make no exception and no difference between famous and anonymous people but that’s the way it is. At least the man allows The Cranberries to be recalled to a larger and different audience and that’s always a good thing. Talking about the song well… no comment! 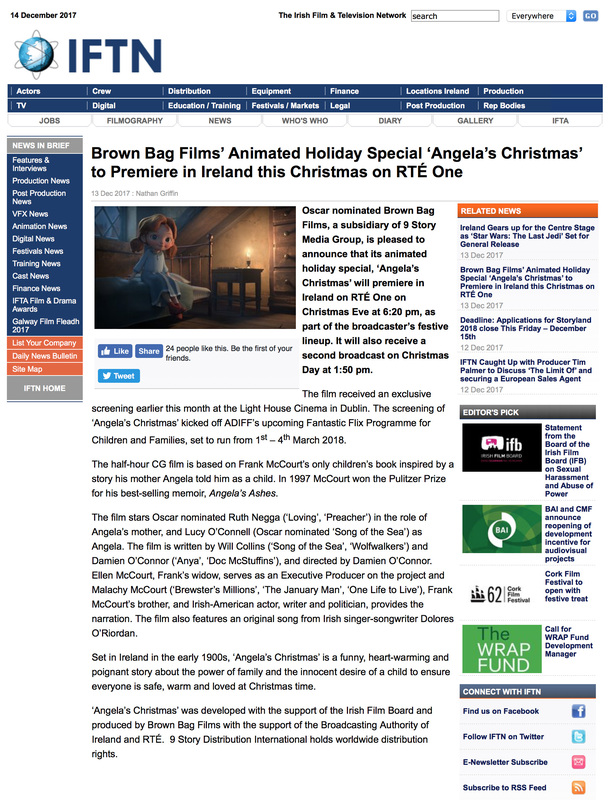 “Angela’s Christmas” is a half hour film based on the children’s book by Frank McCourt and already received an exclusive screening on December 2nd at Light House Cinema in Dublin. 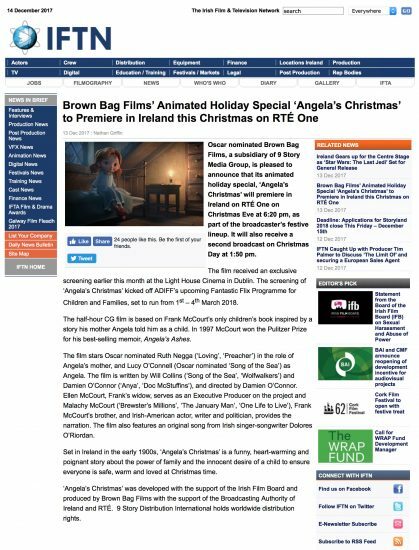 It will premiere in Ireland on RTÉ One on Christmas Eve at 6:20 pm and will receive a 2nd broadcast on Christmas Day at 1:50 pm. 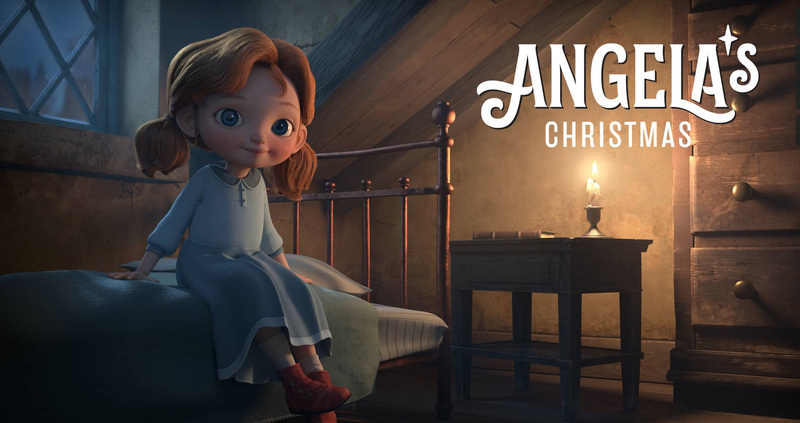 In the USA, “Angela’s Christmas” will be screening at Laemmle Royal Theatre in Los Angeles from Friday, December 8 for a limited theatrical run. Noel is supporting dinewear, a streetwear shop located in Toulouse France, and this is possibly the first time you can see publicly all Noel’s brand new tattoos with a wide view of his arms. 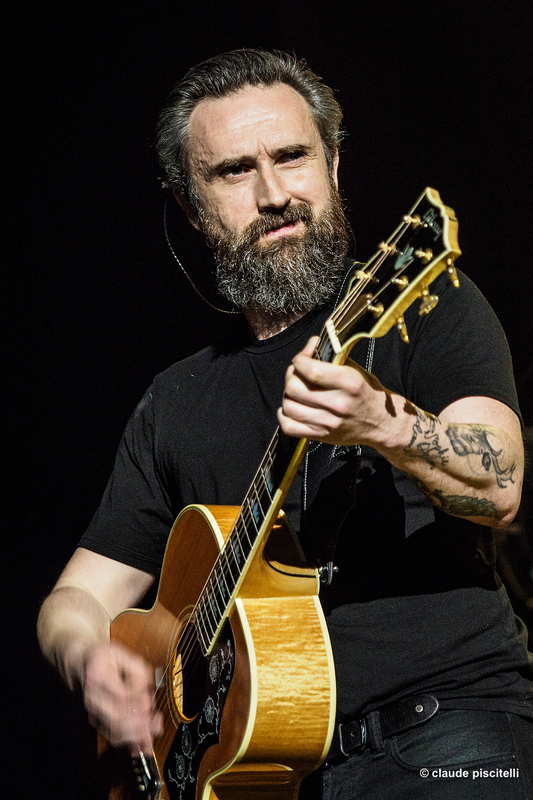 This is Noel Hogan of the Cranberries ladies and gents. feel special & proud today. 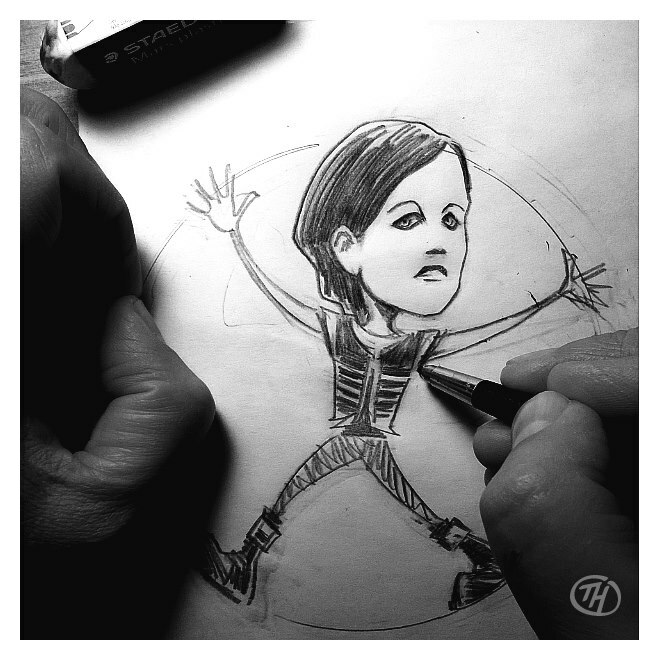 Another great drawing of Dolores published today by the cartoonist The Hand on his socials.